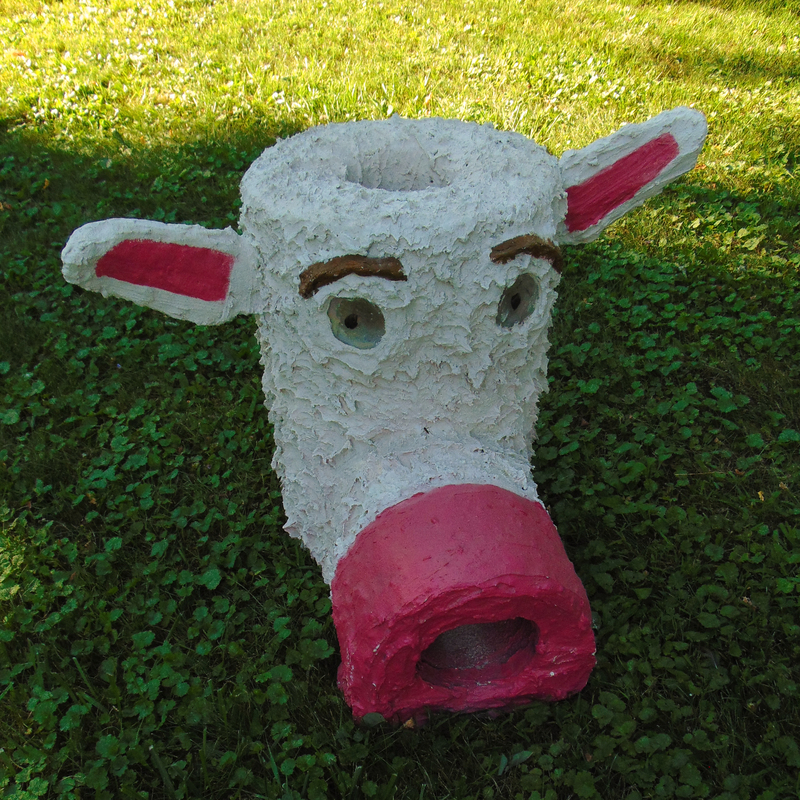 From the creative mind and hands of Julia Dean came this Sheep …..Cow..Pig..animal mix. This beauty has ears that are re-enforced with steel rods to allow for picking the stove up by the ears. Those eyes though…. they light up… no really, they light up when there’s a fire inside. And don’t worry about making a mess, the extended combustion chamber allows sticks to be completely inserted and makes for a stronger up-draft draw. This is fun for the whole family, even when it’s not being used to cook whatever you want, it’s fun having this sitting on your patio, lawn, or in your garden! — with Sheep Cow Pig.